Rather than focusing on the 700+ learning management systems on the market, you may want to start thinking differently about building your online program, course, certification, or degree. As outlined in the blog post Think Like a Product Company, once you intend to generate revenue, you are creating an online product and an online business, not just putting a course online. And your product has to be special, unique, and very specific to what your market wants. In other words, you need to think like a product company. Much like any industry, the evolution of technology has shaped the way we think about and experience, online learning. It’s becoming more obvious that putting instructor-led training materials up on an intranet is a poor experience for paying learners. But using the out-of-the-box functionality of a traditional commercial learning management system to host graphics, video, online assessments, and interactions with other students through an asynchronous forum, is also becoming outdated for revenue-generating training. It’s important to remember that students are both learners and customers making purchase decisions. The platform you choose has to support the needs of today’s audience/learners and modern pedagogies, plus your own need to to differentiate and your specific business model or product requirements. Platform decisions are complicated, especially where you have constraints in time, resources and money — and who doesn’t? Changing your mindset and understanding the different types of online learning platforms are the first steps to choosing a platform. 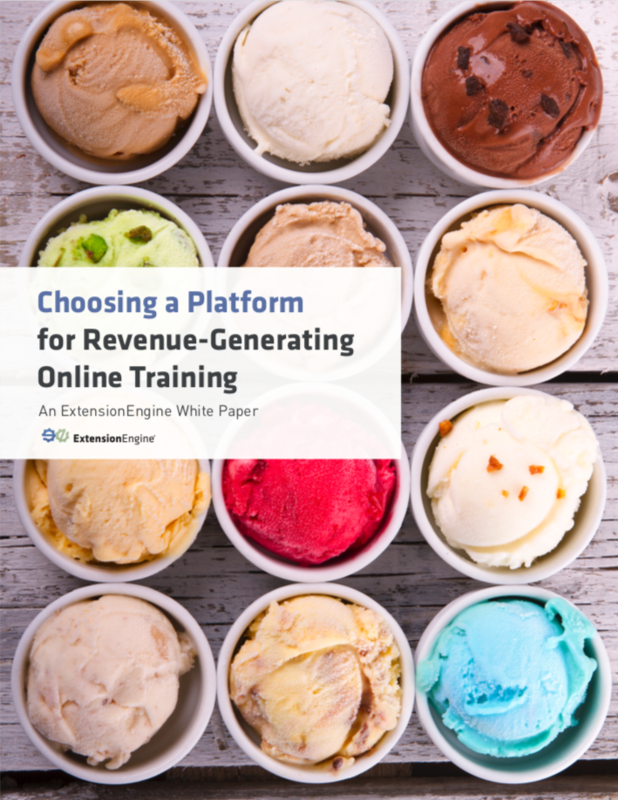 If you want more information on how to choose a platform for online learning, take a look at our white paper, Choosing a Platform for Revenue-Generating Online Training.